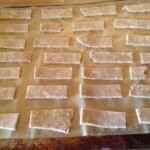 My aunt has been making some delicious cheese crackers and they are on my list to make, but when I came across this recipe I decided to give it a try. I like cheese, but it does not always like me. Stella loves anything cheese! 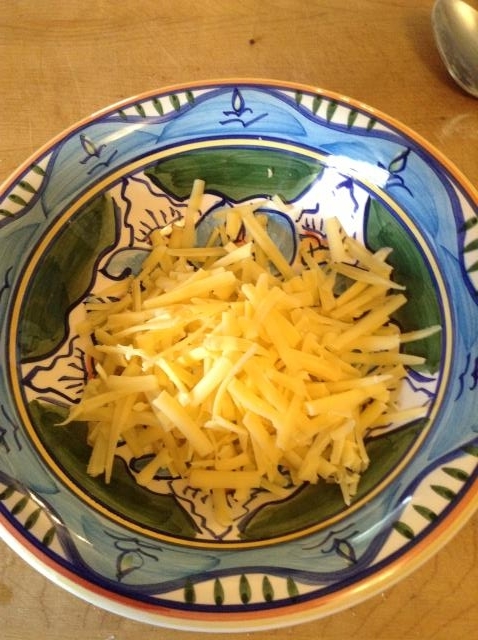 This recipe is a little lighter on the cheese and I thought it might be a little better for me and my stomach. 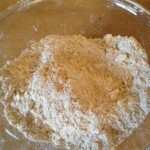 It is not something you can just whip up – you need to do a little planning since the dough has to be refrigerated. 1. 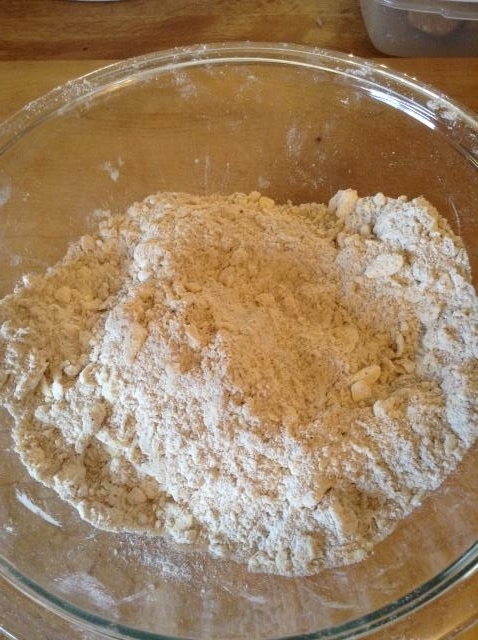 Mix all the dry ingredients together in a glass bowl. 2. 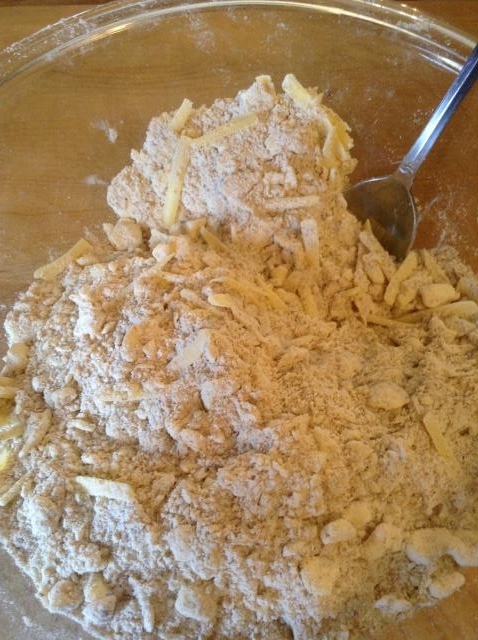 Add the butter and then either with your hands or a fork, cut the butter into the dry ingredients until it resembles corn meal. 3. 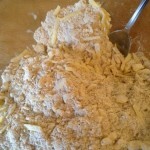 Grated the cheese and then add to the mixture. 4. 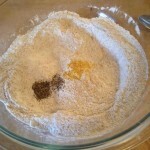 Add 1 Tbl of water at a time and mix. 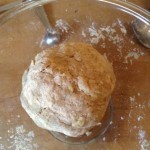 I found towards the 5th Tbl it was better to use my hands to mix the dough. 5. 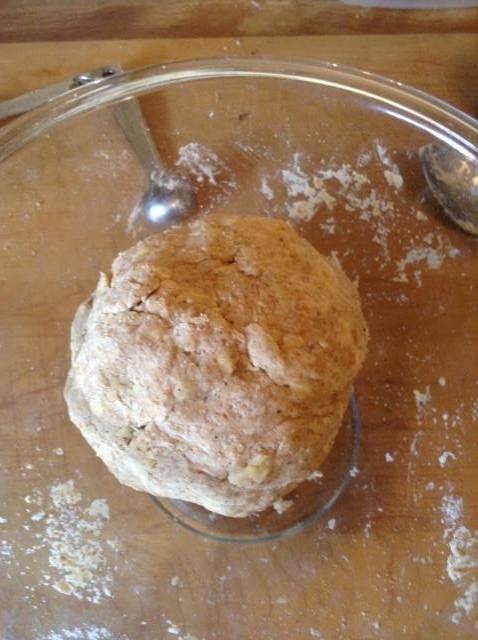 Form the dough into a ball, wrap in plastic wrap and place in the refrigerator for at least one hour. 6. 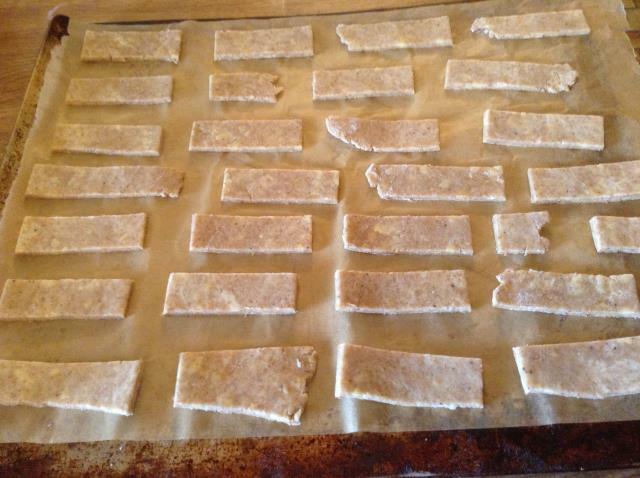 Preheat the oven to 350 and line a cooking sheet with parchment paper. 7. 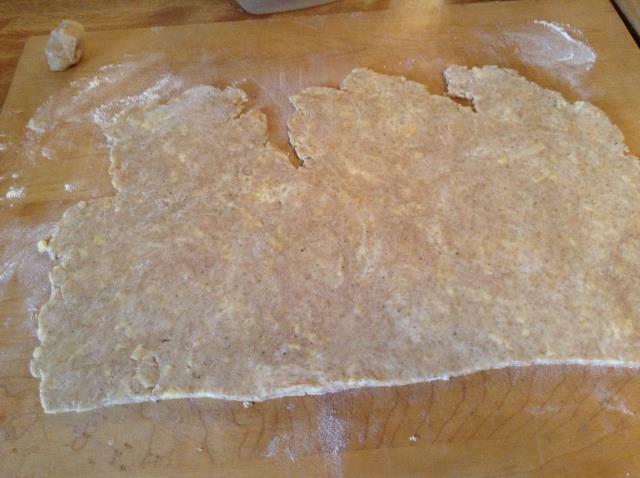 On a lightly floured surface, roll the dough out into a rectangle that is approximately 16×12. 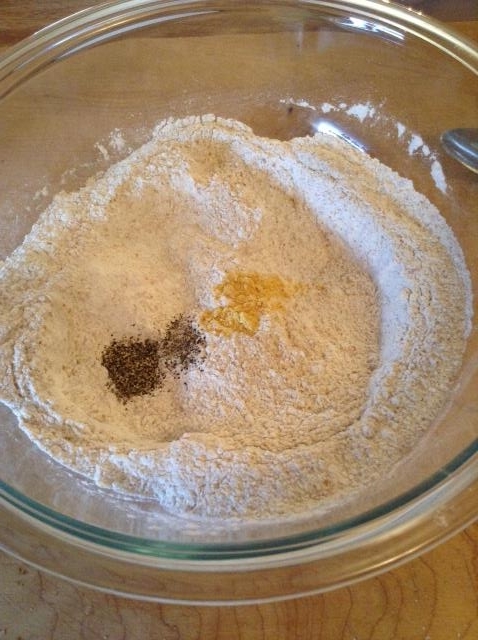 The rolled out dough should be about 1/8″ thick. 8. 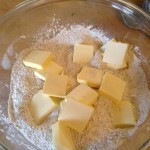 Cut into 1″ x 3″ pieces and place on the baking sheet, 1 inch apart. 9. 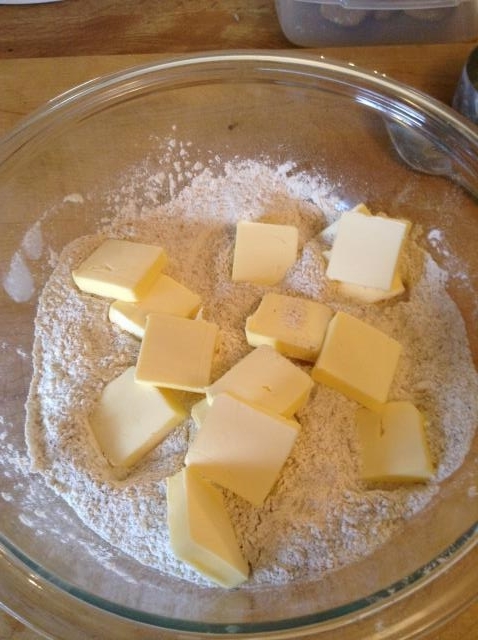 Bake for 12 – 15 minutes – you want them to be golden brown and crispy. Cool completely before serving. 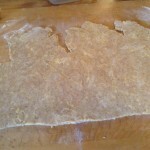 These taste more like a cheesy pie crust cracker – I really liked them! Stella did not like them, which is fine since I think I could eat these with almost every meal and as a snack! I would roll them out even thinner next time – so they were crunchier and cut them a shorter length. 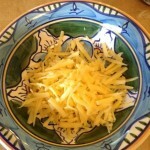 This entry was posted in Recipes, Snacks and tagged cheddar cheese, crackers, recipe, snacks. Bookmark the permalink. These look delicious. 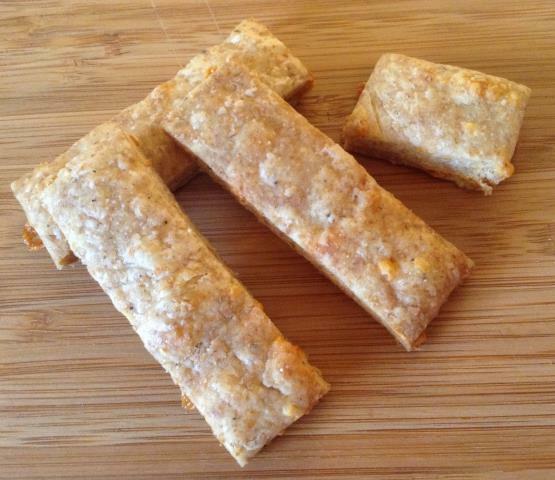 Seem like they’re more like cheese straws. : ) Good photos! !